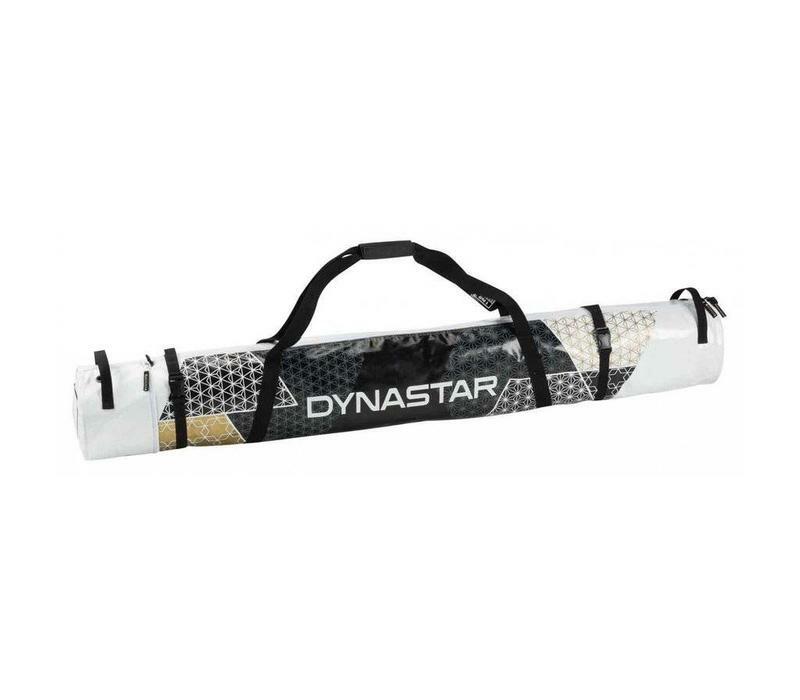 Dynastar Ladies Heavy Duty Adjustable ski bag. Dynastar Ladies Heavy Duty Adjustable ski bag. 150cms extending to 170cms for 1 pair skis. In Black with Gold and White geometric design, carrying handles and compression straps.